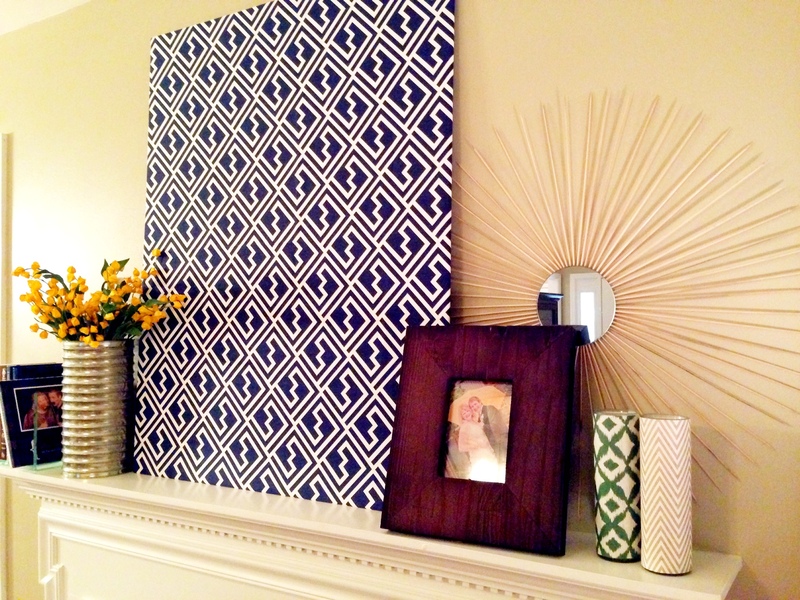 In honor of summertime, I changed out my mantle in the living room to reflect a bit more of a summer-y vibe. It didn’t take much, just some fabric, a little diy and repurposing, and voila! 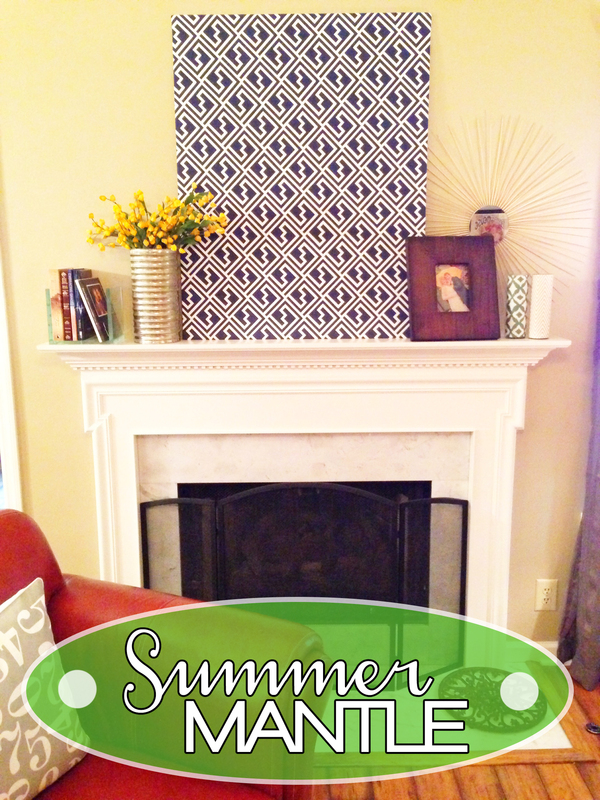 Our summer mantle! 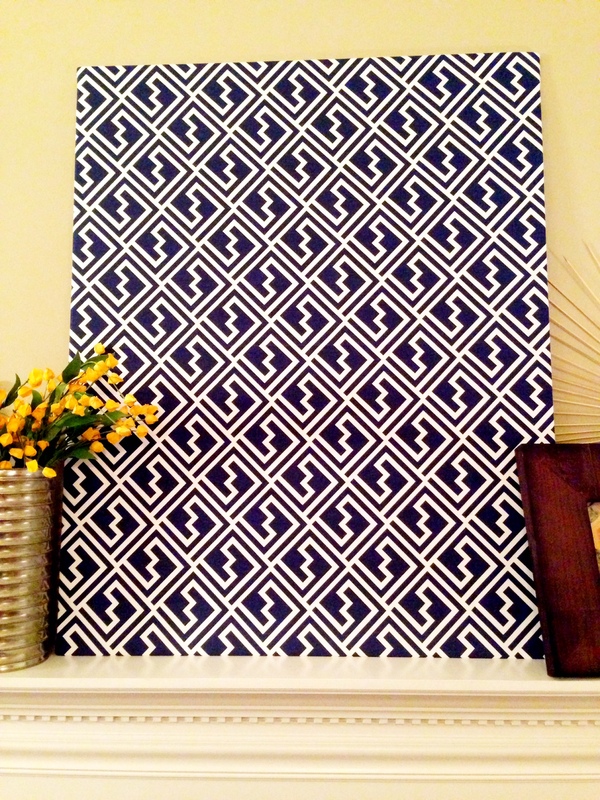 To make this wall art, I simply used a piece of heavy duty poster board and some of my favorite fabric from Joann, and got to gluing. So simple, and I love the way it turned out! It’s really grand sitting atop the mantle. 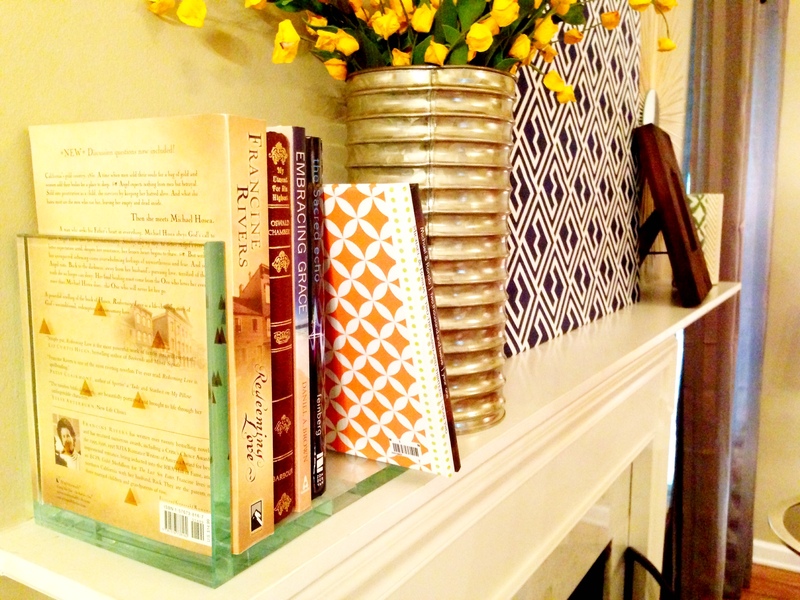 Those glass bookends below were such a deal! I got them for $6.00 at Bargain Hunt (normally $20 a piece at Target!). Score! Some of you might not have a mantle, and some of you might not change out your decor that often. Nonetheless, I always encourage women to see how they can keep their home current and fresh with just a few simple changes. Nothing major. Just enough to help make people feel welcome and refreshed in your home… including you! 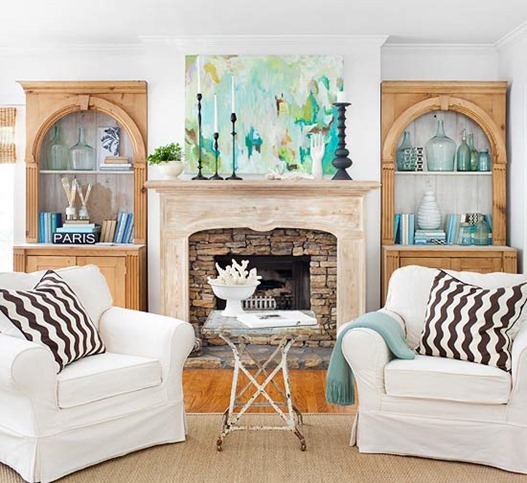 Here are some of my favorite summer mantles for you to get inspired (just click on the images below to see more! ).